Changemakers unite! Join our design group meet up! Do you ever wish you could share your ideas or pick the brains of other eco thinkers, sewers, designers, activists and change-makers? I know I certainly do. There is an absolutely amazing network of environmentally minded creatives out there. I know, as I’m lucky enough to talk to them everyday running Offset Warehouse. The question I’ve been wondering though, is how do you link up and get chatting with all these influential and like-minded people? …. so I’ve decided to launch a design group meetup! We are super excited to announce our very own group, Green Is The New Black: London Sewing Fashion. We’ll be hosting a series of eco and ethical design and sewing events. 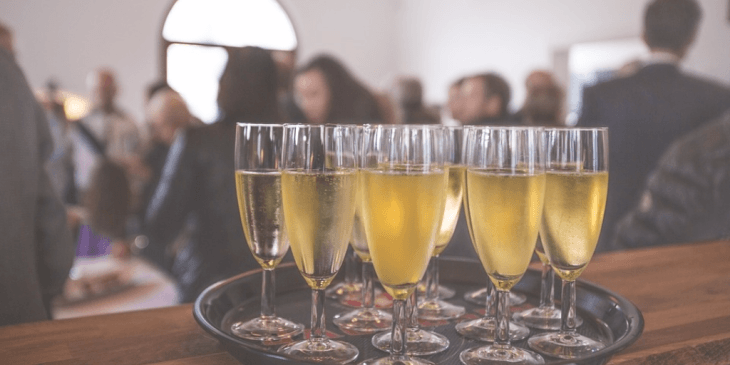 Head over to the “Meetup” website to join – it’s completely free and you can pick and choose which get-togethers are suitable for you. Scroll to the end of this page to find out about our very first event! Anyone with an interest in design, particularly fashion, interiors and textiles. Whether you are a newcomer to conscious textiles, a student, a hobbyist, or a professional, we’d love to meet you at a conscious design meetup! You’ll have the opportunity to hear from the best about sustainable design practices and the forward-thinkers in the fashion industry, as well as meeting incredible, likeminded people. You can also learn new sewing skills with which to put your developing ideas into practice. At the moment it is only London based, as that’s where we are, but we are not afraid of expanding in the future! Why did I start this group? You may have heard my story before as an Offset Warehouse follower but it’s something I’m deeply passionate about sharing! Simply; I’m fed up with fashion. In 2009, I left the Royal College of Art with a Masters in Menswear Design. During my time studying, my eyes were opened to the slave labour and farmer suicides caused by unfair wages and worker rights, and I was horrified. The thought of my designs negatively affecting – even killing – workers was a massive shock and abhorred me – I just didn’t want to be part of it. Digging deeper, I discovered the environmental disasters associated with fabric production, and that irresponsibility on the part of some manufacturers is destroying entire ecosystems and areas of land. When we buy a fabric on the high street we have no idea who has made it. Is that metre of cotton you just bought contributing to the slavery of someone else?? I couldn’t sit back. I had to do something about it. I hand-pick each and every stunning fabric that we stock. I visit the weaving villages and cooperatives, so I can see first hand the ethical manufacturing principles at work. I now search the world for ethical fabrics that I can sell at the convenient minimum order size of just one metre, through my fabric company, Offset Warehouse. At the core of all of my work at Offset Warehouse is my passion to help the people who grow and weave our fabrics, and to prevent any further environmental atrocities associated with textile manufacture. It’s my goal to source the most beautiful, hand-crafted and fairly-sourced fabrics, trims and threads from across the globe, and sell from one to hundreds of metres at affordable but fair prices. Most importantly, you can feel good knowing exactly where your fabric has come from and who has made it. But it’s not enough! I want to teach as many people about working ethically. From home sewers, to big name brands – if you’re using fabric in your designs your materials purchases have the opportunity to make a huge positive impact! There are so many small changes we can make, which affect the lives of millions of textile and garment workers. I want to set a domino effect of knowledge into action. Go tell all your friends! I also know I’m not going to change the world in a vacuum, many brains have more power than just one. It’s going to be inspiring and encouraging for all of us at these meetups, bouncing their ideas and knowledge off each other! I want to set a domino effect of knowledge into action. 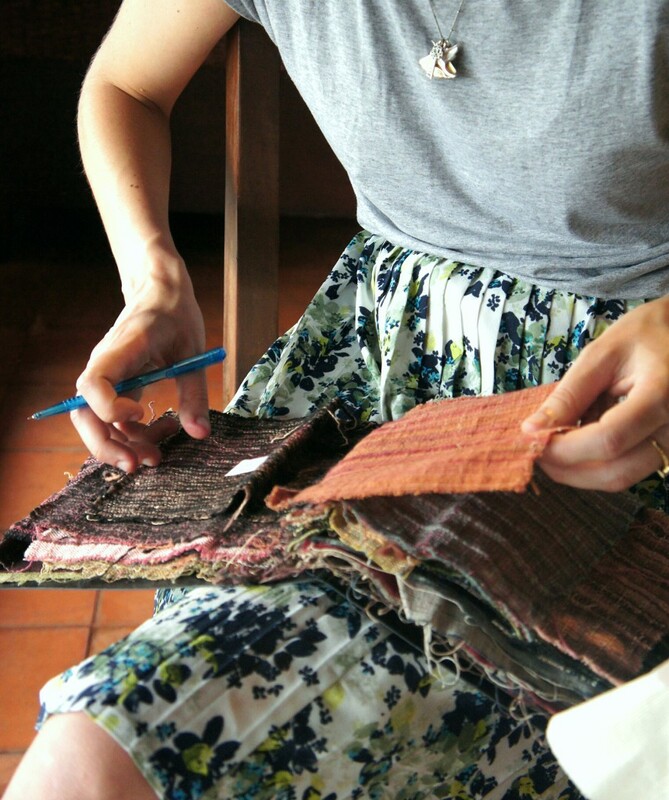 #ecodesign #textiles #meetups! It can sometimes be a lonely world for home sewists, freelancers and designers. Especially as the world is becomingly increasingly digital. Something I and the rest of the Offset Warehouse team know all too well as most of our action takes place online. This certainly has its benefits, as it means we can do amazing things like show you the latest offers and new arrivals at the click of the button, share the latest eco news and advice and you can lap them right up from the comfort of your home! I love the power of blogging, tweeting, instagramming; how easy it is to keep in touch with all our customers. Our discoveries can reach more people, more easily online. And we do have wonderful conversations and meet inspiring people every day through our social media. But, now it’s time to get together in person. Meeting someone who shares your views is extremely uplifting and valuable, and just one contact can open doors you never expected. Friends who understand you keep you motivated, are a sounding board for ideas and will listen to you when you need it. You may not solve the world’s problems by the end of a meetup, but those conversations can be the most inspiring and become something to look forward to each month. You become who you associate with. If you surround yourself with the right people then the attitudes, habits, world view, and associations will rub off. The network you surround yourself with will have a profound impact on your work and life. To get the ball rolling we are diving right in with our first introductory meetup! Come and say hello. There will be chance to chat to me, Charlie, plus other members of the Offset Warehouse team. 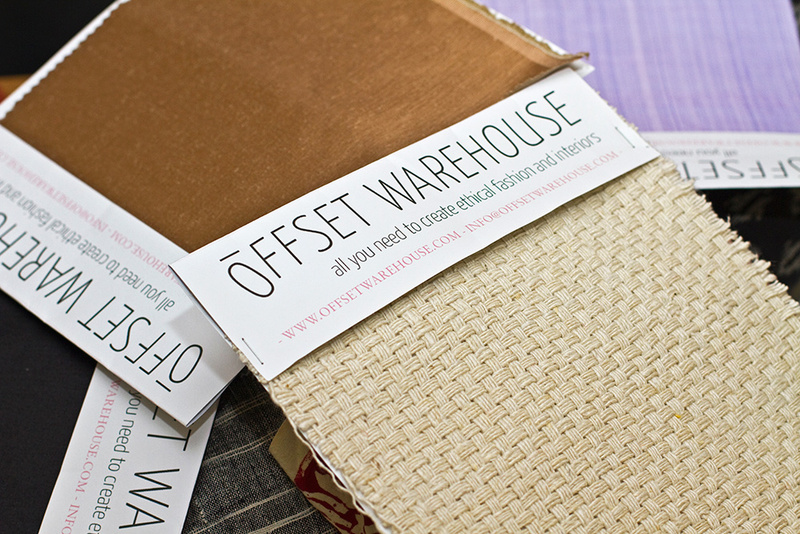 I’ll also bring along a selection of our fabrics, so if this is the first time you’ve heard of Offset Warehouse you can see what we do and the fabrics we are so passionate about. 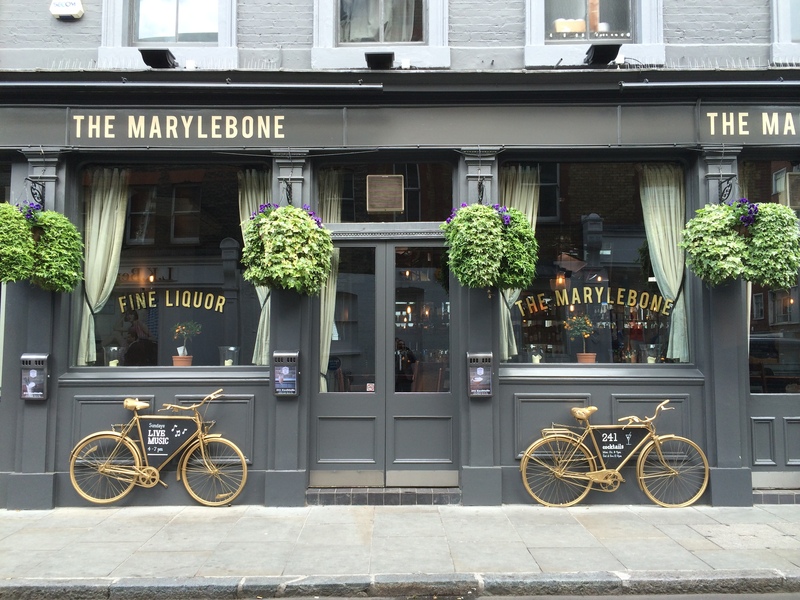 The Marylebone have generously agreed to launch our group in style, by offering a complimentary glass of prosecco to the first 30 attendees … so the sooner you join in the fun, the better! While we’re there I’ll be asking for your thoughts on what other sorts of Meetups you’d love to attend; what subject areas within sustainable and ethical textiles and design are you keen to know more about, or share with us? And of course the best bit, there will be loads of like-minded people you can bounce ideas and meet. We hope to form real connections and galvanise creative action and hope for a more sustainable future! See you there! Whether you’re a student, a professional, a home sewist or hobbyist we want to provide for and promote your talent and interest. Are you setting up your own brand, or a creative action group? Are you a sewing teacher or are you a one-person trumpet blower for sustainable style? We need you! We all need each other and our planet needs us to act. I started this blog to help conscious creatives be successful. If you like these articles, then please do sign up to our monthly newsletter, where I roundup all the latest posts, offers and events. Oh, and to spread the word please do tweet the article using the tweet buttons throughout the article and below. Need New Year Resolution Ideas? Make A Resewlution!